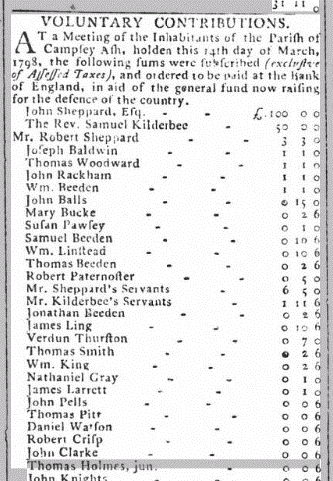 The Ipswich Journal of 17th March 1798 records that many residents of Campsea Ashe made subscriptions to the Government to aid the defence of the country. Research suggests the country was involved in a variety of military activities, including against the French, Spanish and Irish. 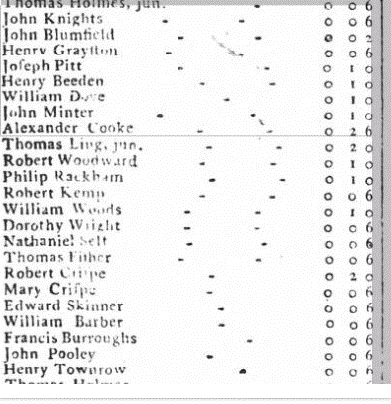 The list is particularly interesting as it provides us with an early list of residents in the village. It pre-dates the first census of 1841. We are grateful to Margaret Taylor for finding the article and sending it to us. Margaret is researching the Gray family to which she is related and who lived in the village.